Viacom celebrated Women’s History Month with events and activations throughout the company, including a global cross-brand collaboration for International Women’s Day on March 8, and employee events (including an employee Art Exhibit) sponsored by HERE, Viacom’s resource group for women. Women’s History Month is especially fascinating at a creative company like Viacom, as different brands and divisions offer bespoke contributions to honor women’s achievement. Take, for example, Nickelodeon’s Culture & Digital Community team in Burbank, which collaborated with their in-house archives team to curate and create a selection of digital content for the Nick Animation social media pages to honor women in Nickelodeon cartoons throughout March. Selections of their work are highlighted below. Yes, Charlotte Pickles was truly a pioneer. And finally, here’s my personal favorite: an ode to Hey! Arnold’s misunderstood Helga Pataki. Director of Culture and Digital Community Narbeh Minasians explained how expansive and multifaceted Nickelodeon Animation’s social media presence is, which makes sense considering the scope of the brand. Minasians explained how these culture-oriented social posts are ideal for their target demographic. What his Burbank animation studio team works on is a bit different—their content is sourced from employees, productions, artists and teams from within the studio and reflects the culture of creativity that exists there. His team targets the animation industry (new talent, and those looking to transfer to Nick from other animation studios) as well as employees and fans. This demographic made their pages the ideal home for this series of Women’s History Month posts. 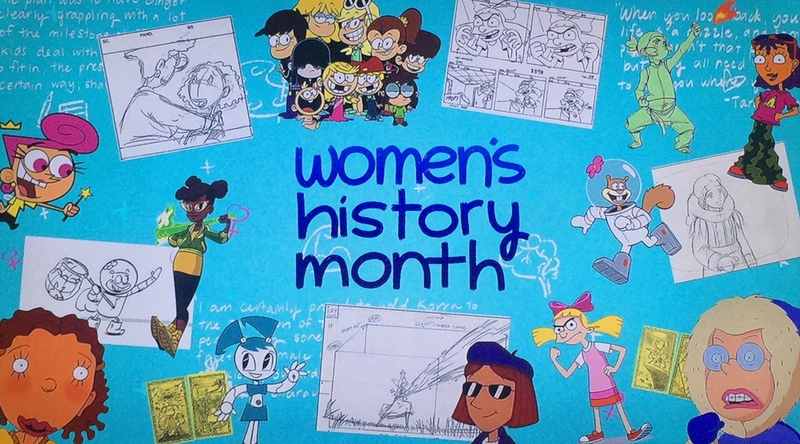 Check out the rest of the Women’s History Month series and more great content on the Nick Animation Facebook, Instagram, Twitter, Tumblr, LinkedIn and YouTube pages.